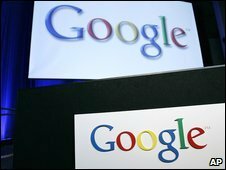 BBC has a post on the Carbon Cost of Google Search. Two search requests on the internet website Google produce "as much carbon dioxide as boiling a kettle", according to a Harvard University academic. Google’s Urs Hoelzle has a response. Recently, though, others have used much higher estimates, claiming that a typical search uses "half the energy as boiling a kettle of water" and produces 7 grams of CO2. We thought it would be helpful to explain why this number is *many* times too high. Google is fast — a typical search returns results in less than 0.2 seconds. Queries vary in degree of difficulty, but for the average query, the servers it touches each work on it for just a few thousandths of a second. Together with other work performed before your search even starts (such as building the search index) this amounts to 0.0003 kWh of energy per search, or 1 kJ. For comparison, the average adult needs about 8000 kJ a day of energy from food, so a Google search uses just about the same amount of energy that your body burns in ten seconds. We've made great strides to reduce the energy used by our data centers, but we still want clean and affordable sources of electricity for the power that we do use. In 2008 our philanthropic arm, Google.org, invested $45 million in breakthrough clean energy technologies. And last summer, as part of our Renewable Energy Cheaper than Coal initiative (RE<C), we created an internal engineering group dedicated to exploring clean energy.